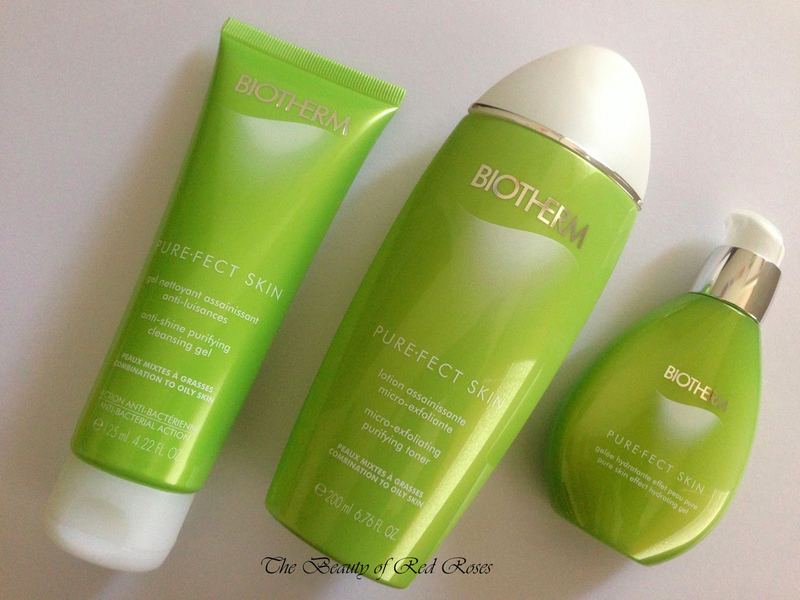 Pure.Fect skin care range is the latest offering in skin care by Biotherm and the range is suitable for people who have combination to oily and imperfection-prone skin. The Pure.Fect products target enlarged pores, blemishes and the shine that develops on the skin as the day progresses. The key ingredient is L.Digitata (sounds kinda funky, doesn't it?! ), which is a marine algae that provides effective anti-bacterial protection to help matify the skin, whilst keeping it balanced, hydrated and clear of blemishes. The range includes: Anti-Shine Purifying Cleansing Gel (A$29/125ml), Micro-Exfoliating Purifying Toner (A$32/200ml), Pure Skin Effect Hydrating Gel (A$38/50ml), Anti-Imperfection Targeted Solution (A$32/15ml) and a Gentle Scrub Soap Bar (A$25/100g). 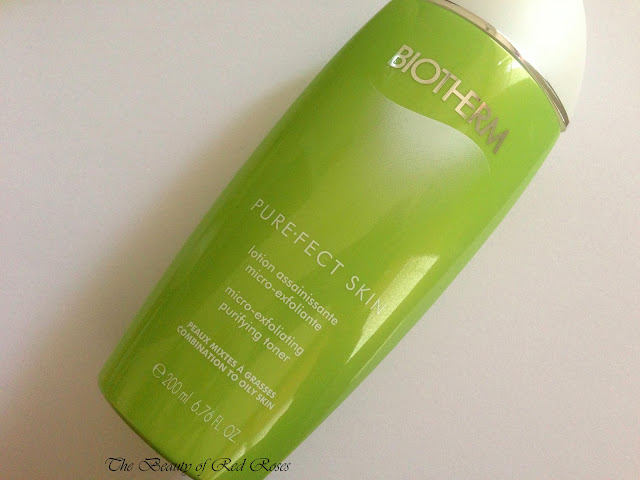 Biotherm Pure.Fect Anti-Shine Purifying Cleansing Gel is a transparent gel which has a relatively thin consistency. 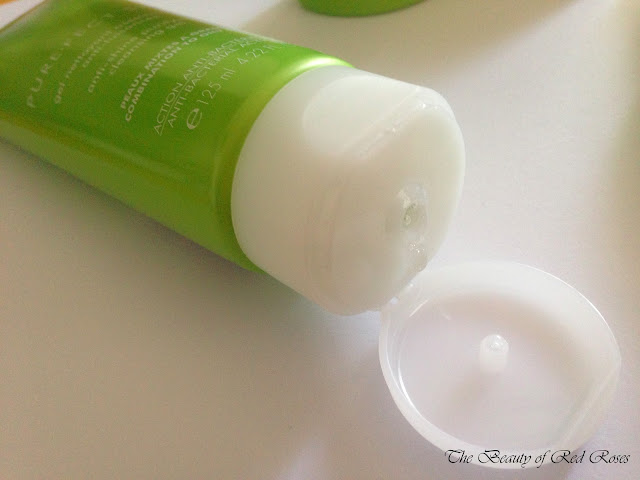 This gel cleanser lathers up nicely against my skin and forms micro-bubbles which have a strong affinity to my skin. The citrus scent was quite nice, though slightly overpowering to my personal preference. My skin feels revitalised and pores felt slightly tight, although my skin did not feel like it was severely lacking hydration. 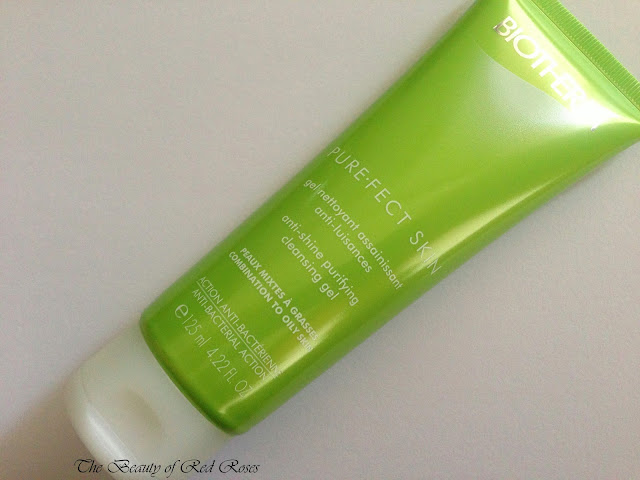 This gel cleanser thoroughly cleanses my skin and my skin feels refreshed, clean and smooth. Biotherm Pure.Fect Micro-Exfoliating Purifying Toner is a transparent lotion that has a strong citrus scent with hints of floral notes, however, after applying the toner using cotton wool, the scent disappears completely. For those of you who have sensitive olefactory senses, this toner may not be for you. At first, the toner did seem quite harsh to my skin due to the mild stinging sensation, although, after a few seconds of application this feeling could have possibly been a 'cooling' sensation due to the exfoliating action of the toner as my skin did not appear red or in any pain. This toner contains salicylic acid which helps to reduce sebum production on the skin and helps to unclog pores. My pores felt slightly tightened and impurities trapped in my pores that were not removed by the gel cleanser could be clearly seen on the cotton wool. My skin felt smooth, matte and despite the fact that this toner made my skin feel slightly tight, my skin did not feel dehydrated, rather more balanced. Pure.Fect Micro-Exfoliating Purifying Toner was quite effective as an exfoliator and purifier to help maintain the balance in my skin, so I would definitely recommend this toner if you have combination to oily skin, but not if you have sensitive skin. Biotherm Pure.Fect Pure Skin Effect Hydrating Gel is an opaque white gel which brings in the moisture to balance the natural oils of the skin. The scent of this gel moisturiser also has a pleasant citrus and floral aroma that is markedly similar to the Pure.Fect Micro-Exfoliating Purifying Toner. This gel absorbed nicely, while leaving a slightly sticky feel to my skin. After gently massaging the gel into my skin and allowing a few seconds for the gel to absorb, my skin appears matte, feels fresh, well hydrated, smooth and soft. My skin appears shine-free during most of the day, however, the shine eventually starts to appear. 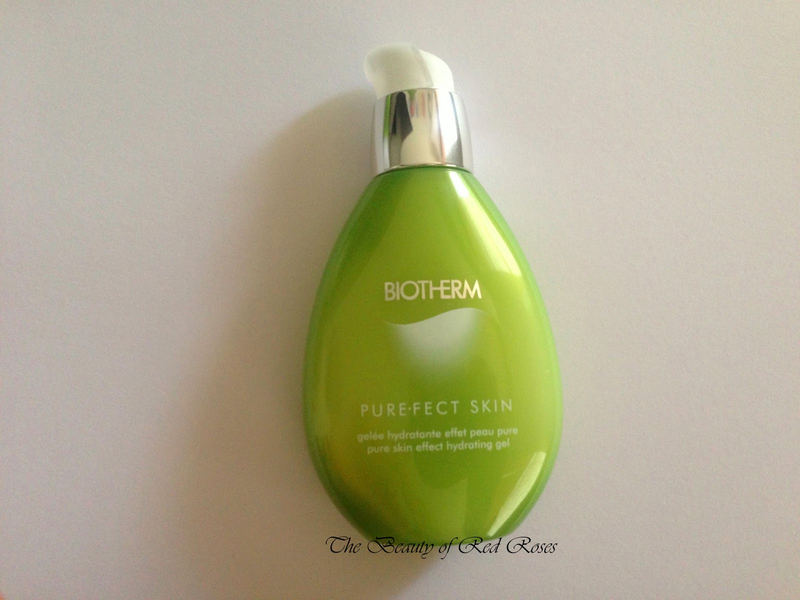 Although Biotherm Pure.Fect Pure Skin Effect Hydrating Gel did not completely control the shine on my skin, the ability of this gel to balance and keep my skin clear was a plus. 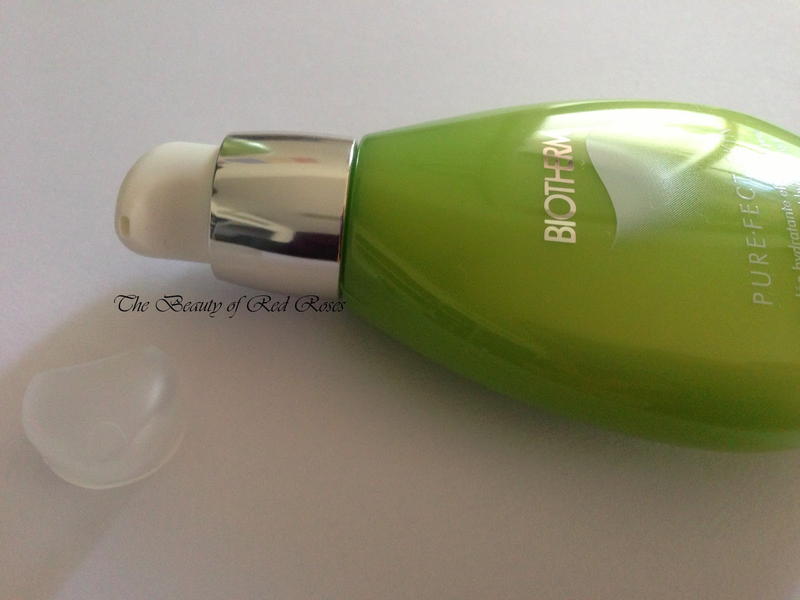 Overall, Biotherm Pure.Fect skin care trio effectively purifies my skin to keep blemishes and imperfections at bay, however, the control in shine was to no avail. I would recommend this range if you have combination to oil and blemish-prone skin, however, if you experience a 'glitter-ball' finish to the skin in general, I would recommend other products that are specifically aimed to control shine. Have you tried Biotherm products in the past? 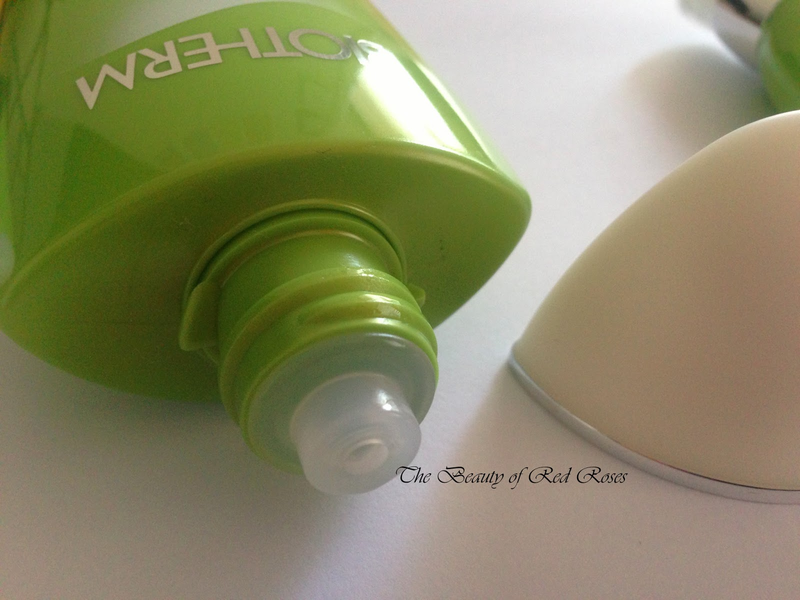 Which products do you use to control shine? Have you entered my 2 year anniversary giveaway yet? Click here for your chance to win 1 of 2 beauty packs! Google Reader to close + TBRR Turns 2 Giveaway!